Incident management checklists are an essential tool for any organisation interested in streamlining their crisis response process. These steps talk you through how best to write one. An incident management checklist (IMC) is a document which details the various steps your organisation needs to take during a crisis situation. It's a clear, coherent plan that improves the chances of incidents being managed successfully, with any potential damage kept to a minimum. 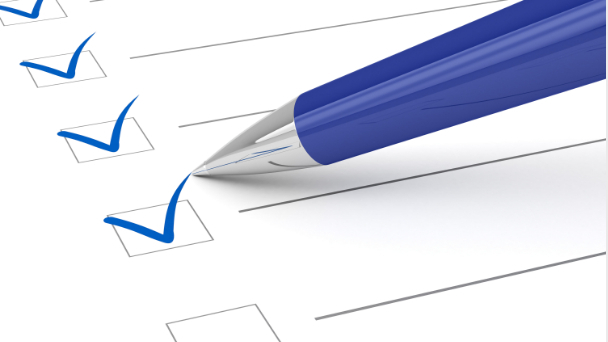 These checklists tend to be written by members of the management team, alongside the organisation's incident coordinator, and are crucial documents for any business, big or small, that wants to be prepared and safeguard itself against any eventuality. By following these four steps, the incident management checklist you produce will ensure your organisation is well prepared in the event of a crisis. The first step to writing a robust IMC is plotting out all the possible incidents your organisation could run into. No matter how unlikely they may seem, get all possibilities noted down. The last thing you want is to find yourself handling an incident that catches your team off guard. It'll leave you without a plan and working off the cuff, exposing you to even more risks. This is why this first step is so important. After all, it's only once you've identified the incidents your organisation is exposed to that you can begin preparing to tackle them. Once you have a list of possible incidents, it's time to begin organising them into categories. There are a number of different ways to do this, and how you approach categorisation is up to you. You may wish to divide incidents into broad categories like technological, financial, internal, and external incidents. Alternatively, you may decide your company would benefit from arranging incidents into more focused categories like network outages, security breaches, and so on. The categorisation process is important because it allows you to detect patterns in similar cases. For example, if you've experienced many situations in the past that fall into the 'internal incidents' category, the lessons learned should aid you when it comes to managing new situations in the same category. If you're dealing with a whole new incident, categorisation provides a basic framework for capturing new response data and experiences to help you should similar incidents crop up in future. Prioritisation is a crucial step in the IMC process. It details the likely impact an incident may have on your business and its urgency. Urgency refers to how quickly a resolution is required, while impact is the measure of the potential damage the incident may cause. Prioritising incidents into low, medium, and high priority brackets while writing your IMC will ensure you take action in a logical order during crisis management and avoid wasting time on less important issues. The next stage of writing your incident management checklist is the most essential: plotting out the steps you'll take during an incident. Before writing your procedure down, consult your various departments to ensure it works for your whole organisation and keep the wording simple and straightforward to avoid any confusion during the incident management process. The first draft of your IMC must also undergo rigorous testing well in advance of an incident to ensure it's watertight. Hold periodic practice and role-playing sessions with your crisis management team and adjust your checklist accordingly if something doesn't work or you discover more effective ways of controlling a situation. A well thought out incident management checklist will prepare your organisation to effectively handle any incident or crisis. This will take a huge amount of pressure off your crisis management team as they'll have a clear procedure to follow through, rather than working things out as the situation develops. IMCs are also living documents, meaning they should continue to be edited and updated, taking into account all the experience and knowledge gained from your incident management efforts. This means that IMCs aren't just about preparation, but about mitigation of possible future crises. In this sense, they're invaluable for any business. For an independent evaluation of your organisation's level of incident preparedness, book a demo of OneVoice's advanced CIM software today.